An Amazing Success: You can enjoy fabulous Photos. We wish to strongly advocate that theA.S.E.P. is not merely such an event, it is an ICP based on the principals of constructivism and a place where both teachers and students meet and come face-to-face with themselves and find the best way to make use of ICT to enrich their lives. Furthermore, the teaching methodology opens windows for them to the world via the networking involved in this event. Lead students to the sucｃｅｓｓful English presentaton. Taiwanese Friend!! Happy new year!!! I send my best regards to our big brothers and Taiwanese friends who had strongly supported our activities in Taiwan, Kaohsiung while we were staying from Dec.24 to 30. Meanwhile , I would like to send my highest respect for your devotion to ASEP& WYM. Without Taiwanese friends' outstanding leadership and persistence, all of these fruitful success can never become a reality. I really appreciate what you have done for us. 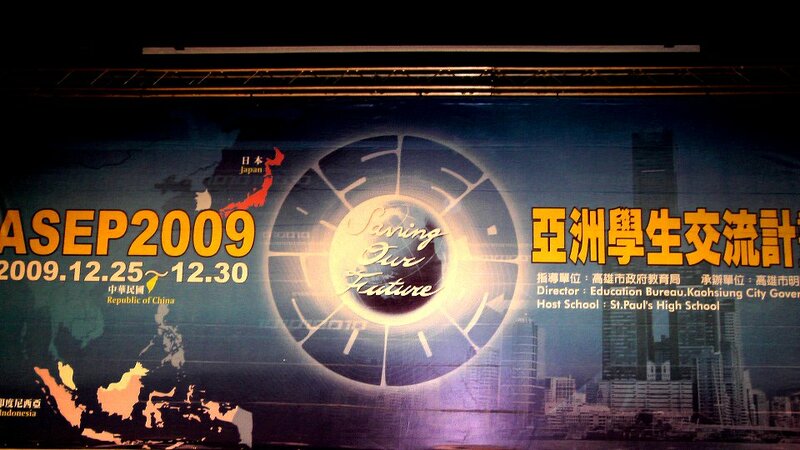 Without your kind support, we could not complete our job in Kaohsiung. I myself, believe this ASEP should be a good pilot International Pilot Project especially in Asian region where English works as communication languages. Keep in touch to inspire our students seeking new potentials. Let's share the photos and movies at ASEP. Copyright(C) 2009ASEP2009　All Rights Reserved.